I am feeling Christmassy. I am. After a rubbish little patch of rubbish, I actually bothered to put makeup on this morning, and it made me feel more like myself, and less like a slug of doom. 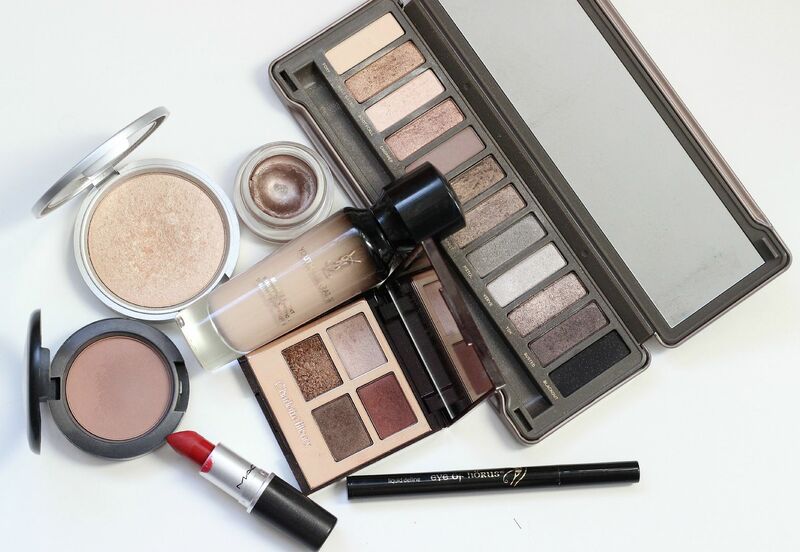 I love makeup so much at this time of year – the colours are all my favourite. Rich, opulent shades and lots of velvet. 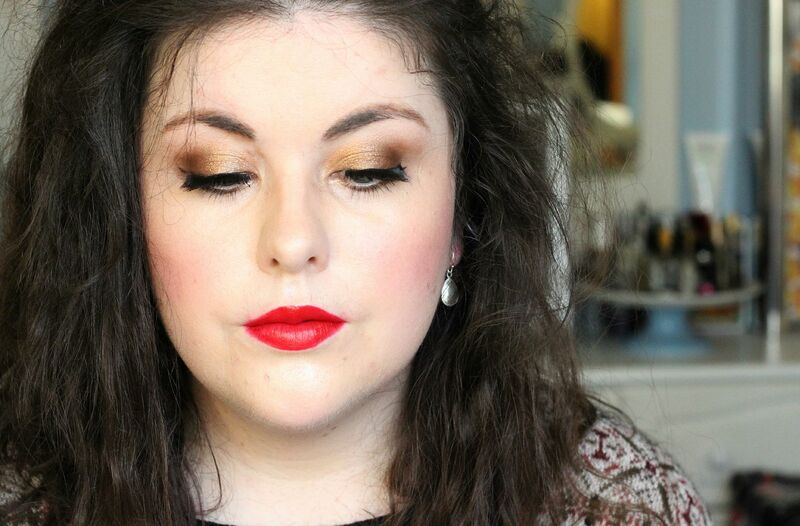 Gold eyeshadow and red lipstick, which is what I’ve gone for today… all the makeup all over my face. 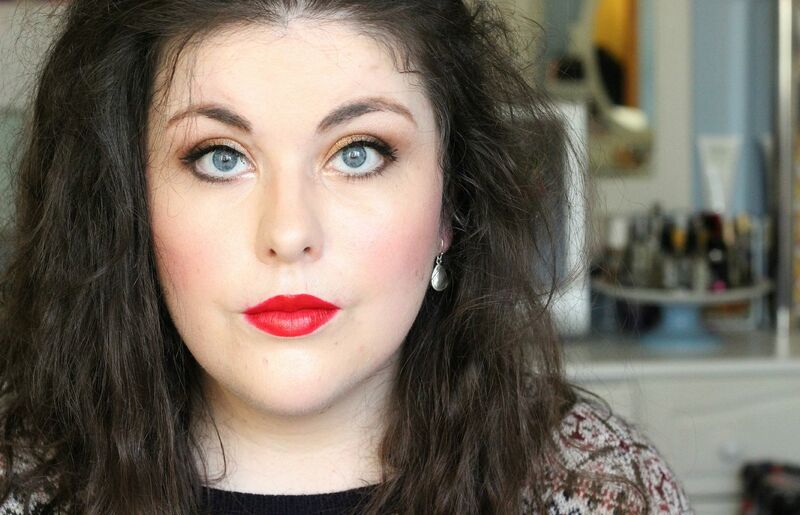 I even went for lashes (because I found an unopened box) to make the finished thing have a bit more glamour. 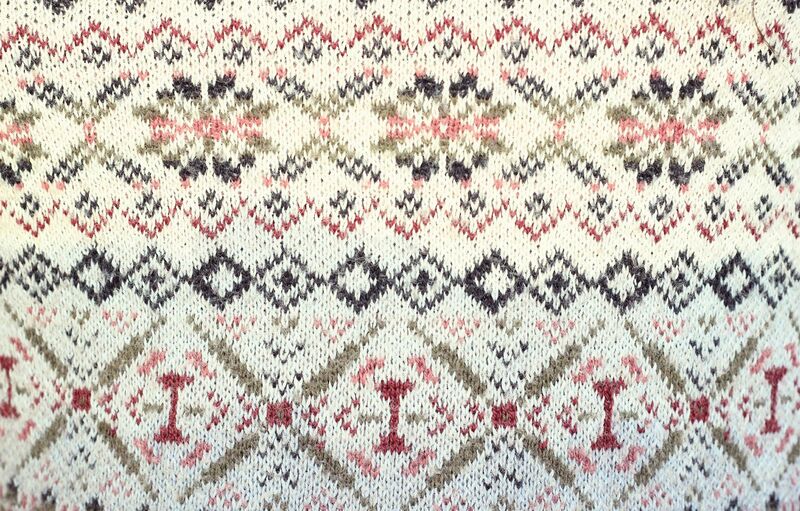 Close up of my jumper, because it’s so cosy without being obnoxiously festive.